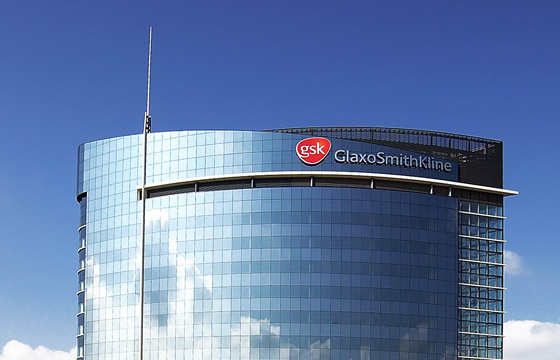 The FDA has approved GlaxoSmithKline’s IL-5 blocker Nucala for a rare and sometimes life-threatening vascular disease, adding to its current use in severe asthma. The US regulator gave the go-ahead yesterday to use Nucala (mepolizumab) to treat adult patients with eosinophilic granulomatosis with polyangiitis (EGPA), a rare autoimmune disease that causes vasculitis, inflammation in the wall of blood vessels of the body. GSK’s drug is the first to be approved for the disease, which affects around 5,000 people in the US. Also known as Churg-Strauss syndrome, EGPA seems to be driven by eosinophil cells and causes a range of symptoms, including asthma and damage to organs, and while some patients can be managed with corticosteroids, immunosuppressant and cytotoxic drugs these carry a significant side-effect burden. Nucala’s approval in EGPA is based on the results of a trial which showed that a 300mg dose of the antibody - delivered once a month - allowed patients to reduce the use of oral corticosteroid therapy and kept a higher proportion of patients in remission than placebo. “Patients with EGPA often suffer from recurrent relapses that place them at greater risk of permanent tissue and organ damage,” said the trial’s lead investigator, Michael Wechsler of National Jewish Health in Denver, Colorado. Nucala has been approved since 2015 for eosinophilic severe asthma, and is a key growth product for GSK’s respiratory franchise with sales more than doubling to £223m (almost $300m) in the first nine months of the year, and with the US accounting for £153m of that total. EGPA is too small an indication to add a significant boost to Nucala’s sales trajectory, but it keeps GSK’s nose ahead of its rivals in the IL-5 inhibitor, which include AstraZeneca with recently approved Fasenra (benralizumab) and Teva’s Cinqair/Cinqaero (reslizumab). GSK also has other regulatory filings in the offing that could expand use of the drug into other big patient populations, such as those with chronic obstructive pulmonary disease (COPD) , despite reporting mixed results with the drug earlier this year.